L-3 Global Security & Engineering Services is seeking Air Force Explosive Ordnance Disposal (EOD) Training to prepare for future contracted positions supporting Air Combat Command (ACC). The boot camp here, known as the Singo Training School, is operated by the Ugandan military, but the instruction is overseen by MPRI, a subsidiary of L-3 Communications, based in the District. It is one of four State Department contractors that are training African troops for Somalia. 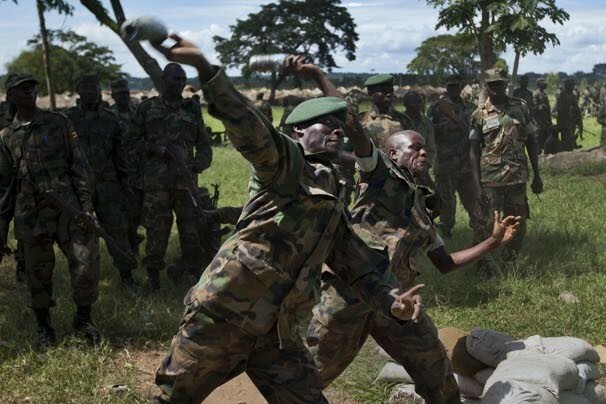 Under the gaze of American instructors, gangly Ugandan recruits are taught to carry rifles, dodge roadside bombs and avoid shooting one another by accident. In one obstacle course dubbed “Little Mogadishu,” the Ugandans learn the basics of urban warfare as they patrol a mock city block of tumble-down buildings and rusty shipping containers designed to resemble the battered and dangerous Somali capital. “Death is Here! No One Leaves,” warns the fake graffiti, which, a little oddly, is spray-painted in English instead of Somali. “GUNS $ BOOMS,” reads another menacing tag. Despite the warnings, the number of recruits graduating from this boot camp — built with U.S. taxpayer money and staffed by State Department contractors — has increased in recent months. The current class of 3,500 Ugandan soldiers, the biggest since the camp opened five years ago, is preparing to deploy to Somalia to join a growing international force composed entirely of African troops but largely financed by Washington. A U.S. appeals court on Friday revived two lawsuits accusing employees of two defense contractors of conspiring to torture and abuse Iraqis detained at the Abu Ghraib prison near Baghdad and at other locations. A 14-judge panel of the U.S. Court of Appeals for the 4th Circuit, based in Richmond, Virginia, refused to intervene and dismiss the suits against CACI International Inc and L-3 Communications Holdings Inc, sending the cases back to district courts for further proceedings. After the military invasion of Iraq in 2003, the United States hired contractors from U.S.-based CACI and L-3 to provide translators and help conduct investigations. In 2004, photographs emerged depicting the abuse of detainees at Abu Ghraib prison. A number of military personnel were disciplined, but no contractors were charged. 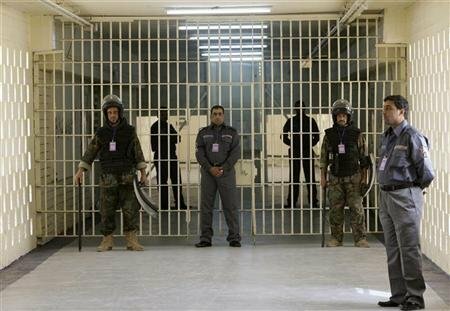 In 2008, a number of Iraqis filed suits against CACI and L-3, accusing their employees of inflicting physical and sexual abuse, electric shocks and mock executions on prisoners. District courts in Virginia and Maryland rejected the companies’ attempts to dismiss the suits. The companies had filed an interim appeal, before the cases could proceed, asking the 4th Circuit to throw out the claims. They pointed to a 2009 ruling by a federal appeals court in Washington, D.C., that had dismissed a similar suit against the companies — a decision the U.S. Supreme Court allowed to stand. In September 2011, a split three-judge panel of the 4th Circuit ruled in the companies’ favor, finding that the companies had immunity as government contractors and that the claims were pre-empted by U.S. national security and foreign policy law. conclusion on Friday in a 12-2 decision that splintered the court, drawing five separate opinions. The companies did not qualify for an immediate appeal, and their claims of immunity needed to be developed through the discovery of evidence, the majority concluded. Accepting the early appeal would “undermine efficient judicial administration and encroach upon the prerogatives of district court judges, who play a special role in managing ongoing litigation,” Judge Robert King wrote for the majority. Two judges dissented in separate opinions. The majority’s ruling “inflicts significant damage on the separation of powers, allowing civil tort suits to invade theaters of armed conflict,” Judge J. Harvie Wilkinson wrote, arguing for the defense contractors’ immunity. A spokeswoman for CACI said the company was reviewing the ruling and declined to comment. L-3 did not immediately respond to a request for comment. Baher Azmy, a lawyer for the Iraqi plaintiffs with the Center for Constitutional Rights, described the ruling as a significant jurisdictional decision that would provide the Iraqis with their day in court. The Justice Department had filed an amicus brief in the appeal, arguing that the Iraqis should be allowed to sue the contractors for damages. Dec 6 (Reuters) – Defense contractor L-3 Communications Holdings Inc said on Tuesday it expects sales and earnings to fall next year, citing declining U.S. spending and troop withdrawals from Iraq and Afghanistan. L-3, which expects to spin off part of its government services segment into a new company called Engility by mid-year 2012, said it is moving to reduce overhead as customers face fiscal constraints. “It’s going to be a more challenging environment for us,” Chairman and Chief Executive Michael Strianese said during the company’s investor conference webcast. The 2011 Annual Summit of the Stability Operations Industry takes place in two weeks and ISOA is pleased to highlight featured speakers for the event. Jack Straw, UK Foreign Secretary under Prime Minister Tony Blair from 2001 – 2006, will be addressing the Summit dinner on 25 October. Straw was instrumental in crafting and coordinating international missions in the Balkans, Afghanistan and Iraq. He currently serves as an MP in the UK Parliament. Chris Shays and Michael Thibault, Co-Chairs of the Commission on Wartime Contracting, will offer valuable insight in to the recent CWC Final Report and its implications for the industry on the morning of 25 October. Lieutenant General Robert Van Antwerp, Former Commanding General of the U.S. Army Corps of Engineers, will address participants on the following day and discuss the role and value of the private sector in supporting vital U.S. policies abroad. The Summit kicks off on Monday 24 October, with opening remarks from Summit chair, Ambassador David Litt (ret.) and former, long-time Chair of the House Armed Services Committee, Ike Skelton. Lunch speakers include Ambassador Eric Edelman (ret. ), former Under Secretary of Defense for Policy, and David T. Johnson, current Assistant Secretary of State for International Narcotics and Law Enforcement Affairs. The ISOA Annual Summit is the premier event of the stability operations industry, drawing a diverse group of speakers and attendees from government, military, non-governmental organizations and the private sector. A detailed agenda and further information about the Summit can be found online at http://www.stability-operations.org/summit2011. The ISOA Summit is sponsored by Mission Essential Personnel, Dyncorp International, SOC, LLC, Triple Canopy, L-3 MPRI, PAE, Inc., Olive Group and EOD Technology. Summit sponsorships, exhibitor spaces and advertising opportunities can be found on the event website, or requested from Melissa Sabin at msabin(at)stability-operations(dot)org. ISOA is the international trade association of the stability operations industry, promoting ethics and standards worldwide and advocating for effective utilization of private sector services. ISOA members are leaders in the industry and are supported by ISOA’s outreach, education and government affairs initiatives. L-3 Communications Holdings Inc. (LLL), whose biggest investor is pushing for the defense company to dispose of underperforming assets, may extract as much as $2.2 billion more for shareholders in a takeover than a breakup. L-3’s equity may garner a price tag of $12.9 billion in an acquisition, based on the median 8.7 times earnings before interest, taxes, depreciation and amortization offered for military electronics company deals in the past 10 years, according to data compiled by Bloomberg. Selling the New York-based company’s four units separately may generate $10.7 billion, estimates from Lazard Capital Markets LLC show. In a recent article in Washington Business Journal, I wrote about the federal government’s growing influence over contractor pay through labor-rate freezes. Interestingly, an award decision by the Army reaffirmed that intended influence, but with the opposite result: Denying a contract win to a company based on the belief that the employees were not going to get paid enough. Here’s what happened: Military Professional Resources Initiative Inc., an Alexandria-based subsidiary of L-3 Services Inc., bid as the incumbent for a contract to provide mentoring, training, subject-matter expertise and program support to the Afghan military, in the ongoing effort to prepare its troops to take over its own security. Stating in its proposal that it was updating salaries based on the current market conditions, MPRI proposed a significant reduction in direct labor rates to its employees relative to those under its incumbent contract. As submitted, this did give MPRI a more cost-competitive bid than DynCorp DynCorpFollow this company International LLC, the Falls Church-based company that eventually won the contract (MPRI bid $212.7 million for the contract, while DynCorp bid $249.1 million). But the Army changed that, stating that MPRI “grossly underestimated” its labor costs, which would result in high turnover, a lack of qualified personnel, and high risk of performance disruptions or failures. It then increased MPRI’s labor rates to the current levels under its incumbent contract. Warranted argument by the Army? The Government Accountability Office didn’t think so, sustaining a protest filed by MPRI and stating in the decision that the Army’s analysis was not reasonable, and resulted in an excessive upward adjustment to MPRI’s proposed labor rates. Perhaps MPRI’s employees are less than satisfied with that decision, given that they’d receive a pay cut if awarded the contract after the proposals are reevaluated, but this may actually be deemed a victory for contractors that prefer agencies leave compensation decisions up to company managers and executives. NEW YORK, May 24 (UPI) — C-12 aircraft operated by the U.S. Navy and Air Force will receive full life-cycle and maintenance support from a division of L-3 Communications. The initial contracts to the company’s Systems Field Support division for worldwide service are worth $32.9 million. The total value of the five-year deal, however, could have an estimated value of $300 million, L-3 said. insurgents targeted them for assassination as collaborators. Because of the lingering dangers for Iraqis who had allied themselves with the Americans, the State Department created a special visa to allow interpreters and other workers into the United States. For most of the women, the Special Immigrant Visa became a lifeline. But applying for the visa meant winning the approval of Christopher J. Kirchmeier, a contractor in charge of security badges and clearances on a base inside Baghdad’s Green Zone. An Army counterintelligence specialist, fluent in Arabic, Kirchmeier had taken leave from his California National Guard unit in 2009 to work for Government Services, a Chantilly-based subsidiary of L-3 Communications. Kirchmeier, then 26, sexually harassed at least two of the women he was charged with vetting, according to several former co-workers and the women. His alleged conduct was a violation of L-3’s ethics code, which says “physical conduct of a sexual nature is inappropriate in the work place and may be unlawful.” He also punished those who rebuffed his advances or who complained about his behavior by seizing their security badges and sabotaging their visa applications, according to the former co-workers and interpreters who recounted their experiences in a series of interviews. L-3 Global Communications Solutions of Victor, N.Y., was awarded a modification to increase the contract ceiling by $40,000,000 to a new not-to-exceed amount of $157,000,000. This is an indefinite delivery, indefinite quantity firm-fixed price contract for procurement and sustainment of Special Operations Forces deployable node-medium very small aperture terminal and small aperture terminals satellite antennas in support of U.S. Special Operations Command Headquarters Procurement Division. The work will be performed in Victor. Procurement actions are expected to be completed by Aug. 30, 2012, and sustainment actions are scheduled to be completed by Sept. 30, 2015. The contract number is H92222-06-D-0007. Sentel Corp., Alexandria, Va., was awarded a $36,969,036 firm-fixed-price cost-plus-fixed-fee contract Jan. 20, 2011. The award will provide for logistics support, property-accountability services, operator-level maintenance and readiness-management operations for the Army Sustainment Command in support of applicable military units and governmental agencies. Work will be performed in Fort Carson, Colo., Fort Hood, Texas; Fort Sill, Okla.; Fort Leavenworth, Kan.; Fort Riley, Kan.; Fort Bliss, Texas; White Sands, N.M.; Fort Sam Houston, Texas; Fort Knox, Ky.; and Fort Leonard Wood, Mo. ; with an estimated completion date of Jan. 25, 2013. Ten bids were solicited with seven bids received. The U.S. Army Rock Island Contracting Center, Rock Island, Ill., is the contracting activity (W52P1J-10-D-0102). DRS Technical Services, Inc., Herndon, Va., was awarded a $22,670,393 cost-plus-fixed-fee contract Jan. 19, 2011. The award will provide for field service support, operator training, engineer support, communication equipment repair and installation for the Afghan National Police. Work will be performed in Afghanistan, with an estimated completion date of July 13, 2011. One bid was solicited with one bid received. The U.S. Army Communications-Electronics Command, Contracting Center, Aberdeen Proving Ground, Md., is the contracting activity (W15P7T-11-C-B001). IAP Worldwide Services, Inc., Cape Canaveral, Fla., was awarded a $7,801,227 firm-fixed-price contract Jan. 19, 2011. The award will provide for services necessary in order to support locations, facilities and operations, and for the construction of temporary facilities and structures as required to enable Joint Counter Intelligence Unit-Iraq operations. Work will be performed in Iraq, with an estimated completion date of Jan. 17, 2014. Three bids were solicited with three bids received. The U.S. Army Corps of Engineers, Middle East District, Winchester, Va., is the contracting activity (W912ER-11-C-0014). DRS Technical Services, Inc., Herndon, Va., was awarded a $7,100,000 firm-fixed-price contract Jan. 20, 2011. The awarded will provide for 195 Codan Base Stations, 300 Codan high frequency mobile radios and 150 Codan high frequency man-pack radios for the Afghan National Police. 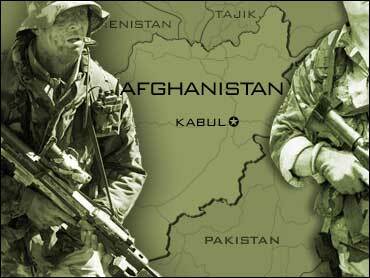 Work will be performed in Afghanistan, with an estimated completion date of March 31, 2011. The bid was solicited through the Internet with five bids received. The U.S. Army Kabul Regional Contracting Center, Kabul, Afghanistan, is the contracting activity (W91B4M-11-P-4177). Longbow, LLC (LBL), Orlando, Fla., was awarded a $6,869,261 cost-plus-fixed-fee contract Jan. 20, 2011. The award will provide for engineering services for the Hellfire and Longbow missile requirements. Work will be performed in Orlando, Fla., with an estimated completion date of Sept. 30, 2012. One bid was solicited with one bid received. The U.S. Army Aviation and Missile Command, Redstone Arsenal, Ala., is the contracting activity (W31P4Q-10-C-0256). A.T. Kearney, Vienna, Va., is being awarded a $23,300,000indefinite-delivery/indefinite-quantity, fixed-price contract for the acquisition of services for the facilitation and execution of standardization and life cycle cost analysis studies to develop shelf recommendations for Naval Sea Systems Command and Naval Surface Warfare Center’s commonality program over a period of three years. The required services (Deep Dives) project methodology involves extremely detailed analysis through many layers of data held at various locations such as Navy data repositories, shipbuilder’s records, original equipment manufacturer records, DoD data bases and federal government data bases. Work will be performed in Philadelphia, Pa. (60 percent); Norfolk, Va. (10 percent); Dahlgren, Va., (10 percent); Crane, Ind. (10 percent); Indian Head, Md. (10 percent), and is expected to be completed by July 2014. Contract funds in the amount of $647,222 will expire at the end of the current fiscal year. This contract was not competitively procured. This procurement was processed without providing for full and open competition under statutory authority 10 U.S.C. 2304(c) (1), only one responsible source and no other supplies or services will satisfy agency requirements (FAR 6.302-1). The Naval Surface Warfare Center, Carderock Division, Ship System Engineering Station, Philadelphia, Pa., is the contracting activity (N65540-11-D-0003). Computational Physics, Inc.,* Springfield, Va., is being awarded a $13,986,544 cost-plus-fixed-fee contract for scientific and engineering research and development services to support the development and application of new and existing techniques for remote sensing (including astronomy). Tasks include: supporting concept design and feasibility studies, assembly and testing of components or equipment laboratory, in-field or in-flight (in-air or in-space) calibration, validation and operation of deployed systems, analysis of engineering and scientific data; and the development and use of algorithms for analyzing the data. Work will be performed in the contractor’s facility at the Naval Research Laboratory, Washington, D.C., and work is expected to be completed January 2015. The amount being awarded at this time is $100,000 and the total cumulative face value of the contract is 13,986,544. Contract funds in the amount of $100,000 will expire June 2011. The contract was 100 percent small business set aside by the Naval Research Laboratory under request for proposal number N000173-10-R-AT04. Naval Research Laboratory, Washington, D.C., is the contracting activity (N00173-11-C-2002). MANHATTAN (CN) – After a federal jury convicted an Army captain of corruption with military contractors in Iraq, an attorney who has spent years on such cases said that such prosecutions are rare – and much needed. “For several years, we were very worried because we just saw a complete lack of any sort of fraud prosecution against defense contractors,” Susan Burke said. “Given the dollars being spent on both these wars, it’s imperative for the United States to continue to root out fraud,” Burke added. Burke, who has specialized in cases involving misconduct by contractors and military personnel, has represented victims of torture, abuse and murder at Abu Ghraib prison and Nisour Square in Iraq. Last year, her Iraqi clients settled seven civil lawsuits alleging “senseless slaughter” by guards of the company formerly known as Blackwater, now operating under the name Xe. Burke says she still has three active lawsuits against defense contractors CACI and L-3, on behalf of Iraqis who say they were tortured at detention centers in Iraq. She also has an active suit against Blackwater founder Erik Prince and his entities, on behalf of a married couple who used to work for him. The husband and wife Burke represents sued under the False Claims Act, which allows whistleblowers to sue contractors on behalf of the federal government for fraud. Burke spoke to Courthouse News after Army Capt. Bryant Williams was convicted of corruption in December. Williams was on active duty at the time. Burke said she has been trying for years to get the federal government to pursue cases against defense corruption cases more aggressively – to little avail. The Uniform Code of Military Justice prevents the military from prosecuting corporate employees, leaving the Department of Justice the exclusive authority to prosecute crimes by military contractors, Burke said. NEW YORK, Nov 10, 2010 (BUSINESS WIRE) — L-3 Communications /quotes/comstock/13*!lll/quotes/nls/lll (LLL 72.40, -0.73, -0.10%) announced today that its STRATIS division has been selected as one of three prime contractors for the Intelligence Support Services-Afghanistan (ISS-A) contract. Under this contract, L-3 has already been awarded two firm fixed-price task orders valued at $36 million to provide intelligence support to the United States Forces-Afghanistan (USFOR-A). These agreements, underway as of September 2010, have a one-year base period, plus two one-year option periods. Under the task orders, L-3 will provide multi-functional analysis, counterintelligence support, signals intelligence analysis and program management services, as well as other supporting intelligence activities to USFOR-A, which falls under the U.S. Central Command Area of Responsibility (USCENTCOM AOR). “We have supported military operations in this region, including Afghanistan, for many years, and now look forward to providing first-rate intelligence services for USFOR-A,” said Les Rose, president of L-3 STRATIS. L-3 STRATIS is among the largest divisions of L-3 Communications. Headquartered in Reston, Va., STRATIS has 5,000 employees serving customers across the globe. They deliver specialized services, advanced technology and world-class project management solutions in support of intelligence and enterprise information technology solutions for government and commercial entities. For more information, please visit the division’s website at www.L-3com.com/STRATIS. Headquartered in New York City, L-3 Communications employs approximately 65,000 people worldwide and is a prime contractor in C(3)ISR (Command, Control, Communications, Intelligence, Surveillance and Reconnaissance) systems, aircraft modernization and maintenance, and government services. L-3 is also a leading provider of a broad range of electronic systems used on military and commercial platforms. The company reported 2009 sales of $15.6 billion. The Pentagon has issued an interim rule that would formally prevent private contractors from interrogating detainees in military custody. The notice, published on Wednesday in the Federal Register, implements a fiscal 2010 National Defense Authorization Act provision by allowing only government personnel to question detainees. Interrogation is a key tool for the United States and its allies to win the wars in Iraq and Afghanistan, but the practice must operate legally and should support the military’s mission overseas, according to the rule. The CIA already has stopped using private contractors for interrogations. While private sector firms will not be allowed to grill detainees, they will be permitted to assist in the interrogation. At the request of the Obama administration, lawmakers revised the 2010 authorization measure to allow contractor personnel with proper training and security clearances to serve as linguists, interpreters, report writers, information technology technicians, and trainers and advisers to the interrogators. The contractors must be subject to the same laws, rules, procedures and policies as the government interrogators, and qualified and trained Defense Department personnel must oversee them to ensure they do not perform prohibited activities. “In some limited cases, a contract interrogator may possess the best combination of skills to obtain critical intelligence, and this provision, therefore, could prevent U.S. forces from conducting lawful interrogations in the most effective manner,” the Office of Management and Budget said in a July 2009 statement of policy on the Defense measure. The final version of the law defines detainees as “enemy prisoners of war, civilian internees and retained personnel” but not Defense Department or contractor personnel being held for law enforcement purposes. The provision was a response to allegations that employees of private firms CACI International Inc. and L-3 Communication (formerly Titan Corp.) conspired to torture detainees at the Abu Ghraib prison in Iraq in 2003 and 2004. Some of the Iraqi detainees have successfully sued the firms, but the companies have appealed the ruling. The 4th U.S. Circuit Court of Appeals in Richmond, Va., is hearing the case. Contractors are arguing they are covered by the same level of immunity that protects U.S. soldiers from being sued by enemy combatants in wartime. “Immediate implementation of this statute is necessary to preclude a contracting officer from inadvertently awarding a contract that allows for the interrogation of detainees by contractor personnel,” the interim rule stated. Bay County-A local defense contractor joined local military leaders today to celebrate a milestone. L-3 developed the mine rollers in-conjunction with the navy base to protect US ground troops from improvised explosive devises. The roller can attach to the back of military vehicles and detonates any IED it encounters. The mine rollers already deployed in Iraq and Afghanistan have been credited with saving the lives of countless US military personnel. The mine rollers have also had a local economic impact. The project has created nearly 300 civilian jobs.